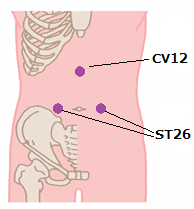 Acu-points for the inflammation of the appendix are CV6, CV12 and ST26. 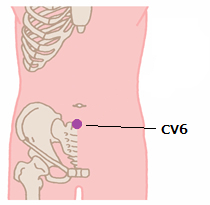 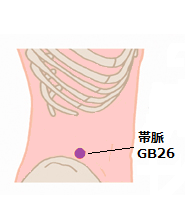 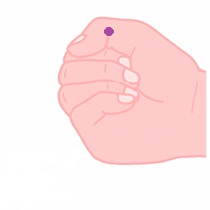 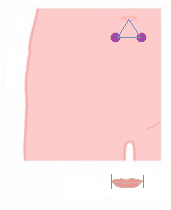 CV6 : Take the length of two fingers under the navel. 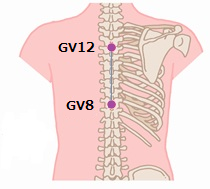 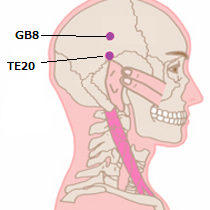 CV12 : At the midpoint of the line connecting the xiphisternal junction(CV15) and the navel. 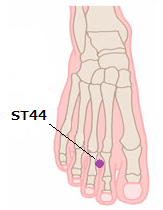 ST26 : From the navel take the length of three fingers outside. 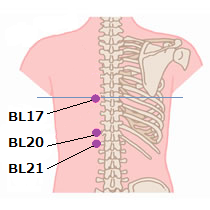 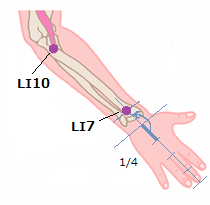 To stop the pain, BL17, BL20, BL21, use 3 points in both sides, 6 points together.